Formula One is a multi-player race game which its makers claimed was "different from all games in that the dice are not used moving the cars in any way". Instead, players each have a dashboard with moving dials, and cars are moved according to the speedometer and tyre and brake gauges. This is a tactical game, in which players have to do a lot of arithmetic to work out the best strategy for cornering speeds and the timing of pit stops. It was a success when released in 1962, and was released in various international editions throughout the next two decades. 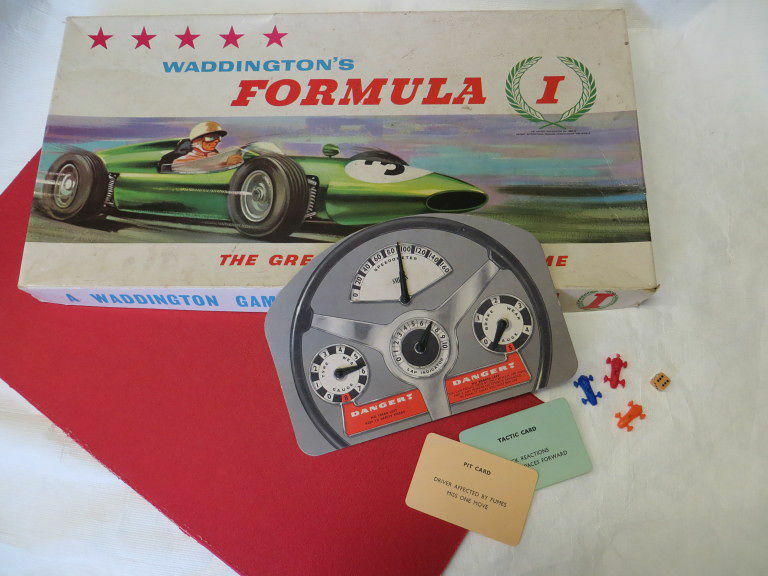 Waddington, the manufacturers of the game, were a publishers who moved into card and board games after the First World War. They were one of the main names in British game manufacturing until taken over by Hasbro in 1994. Belonged to Martin Edgar, who grew up in the Richmond area. He donated the games to Richmond Museum in 2008. 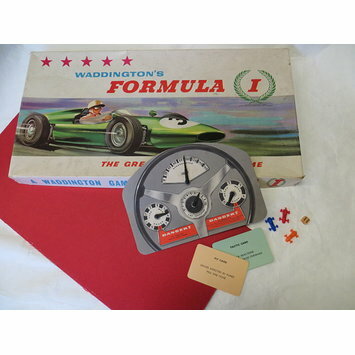 Boxed 'Waddington's Formula 1' racing board game, made in England in early 1960s.